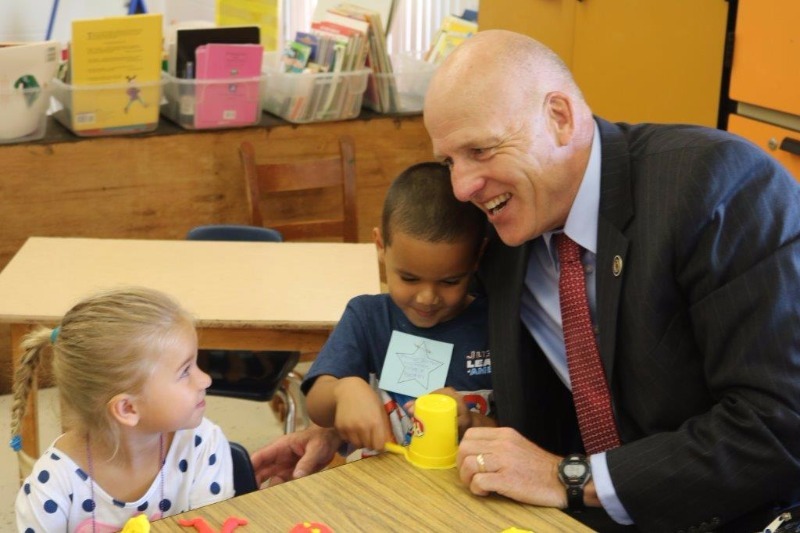 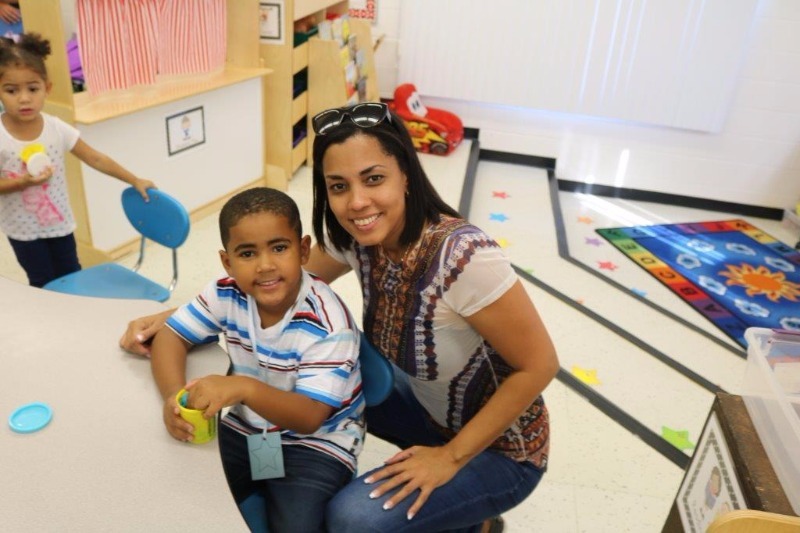 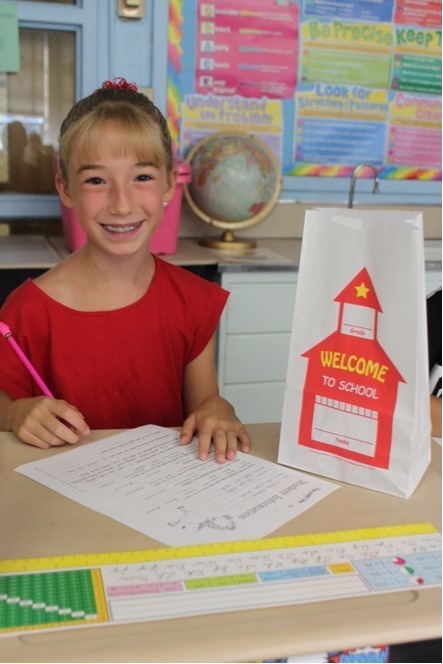 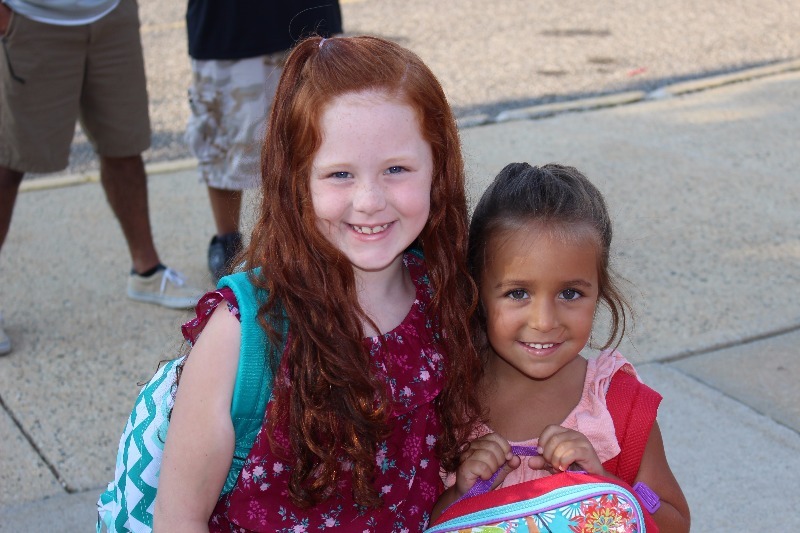 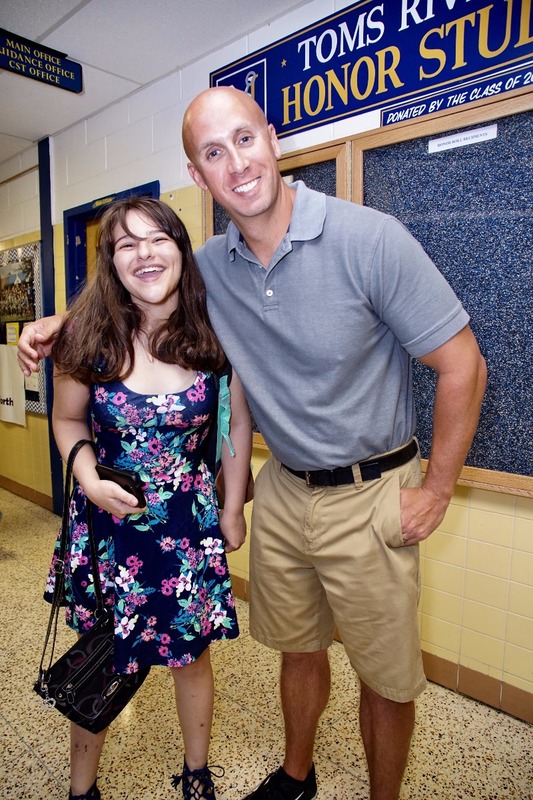 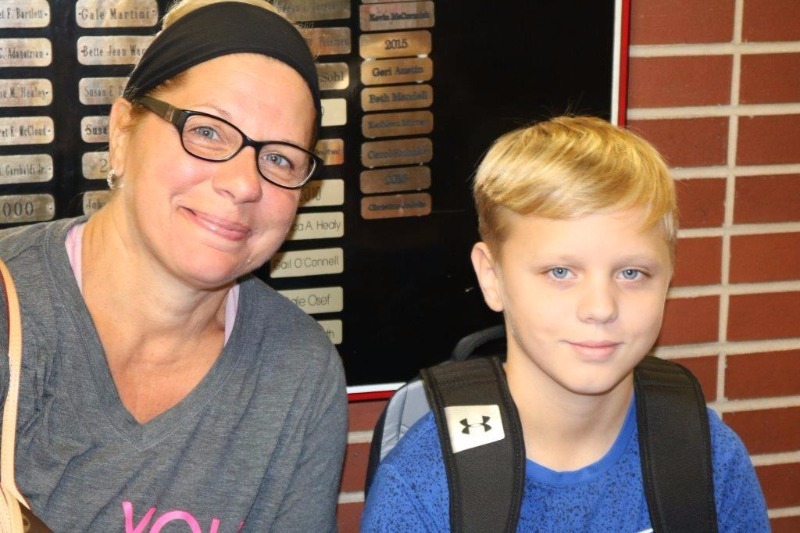 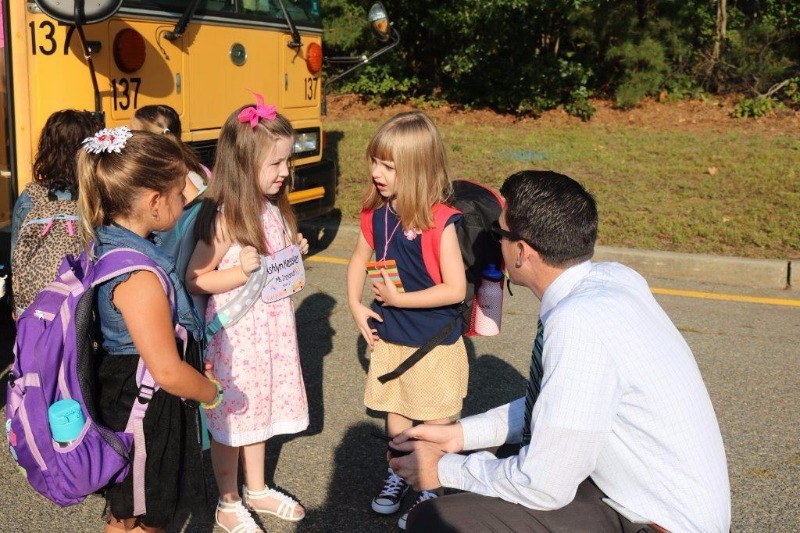 A kindergarten student at Pine Beach meets her teacher. 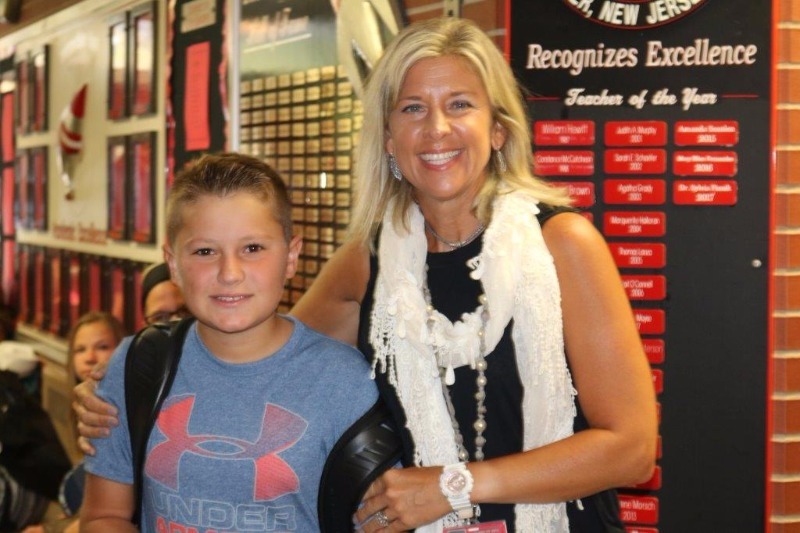 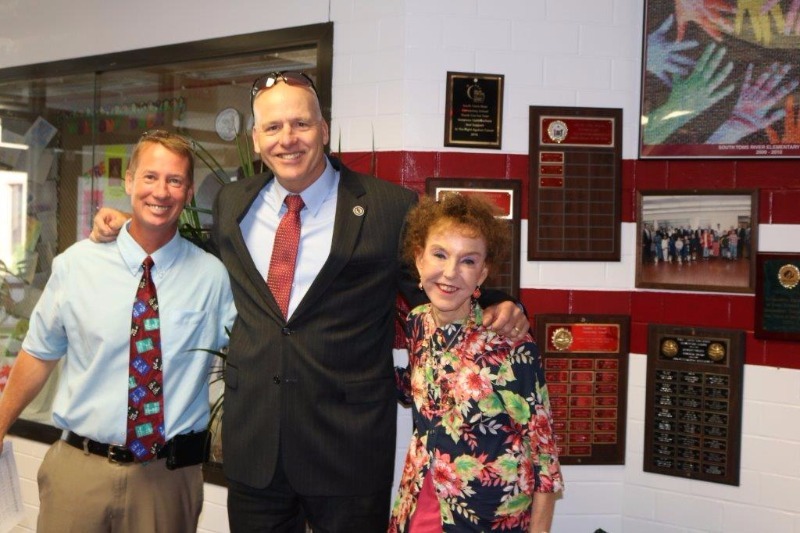 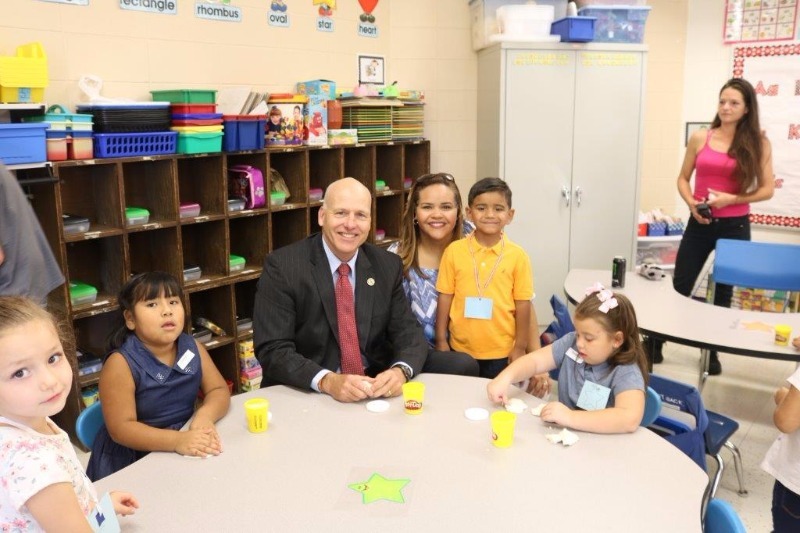 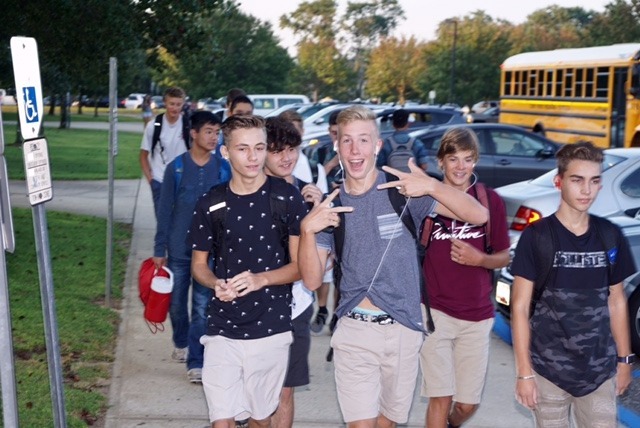 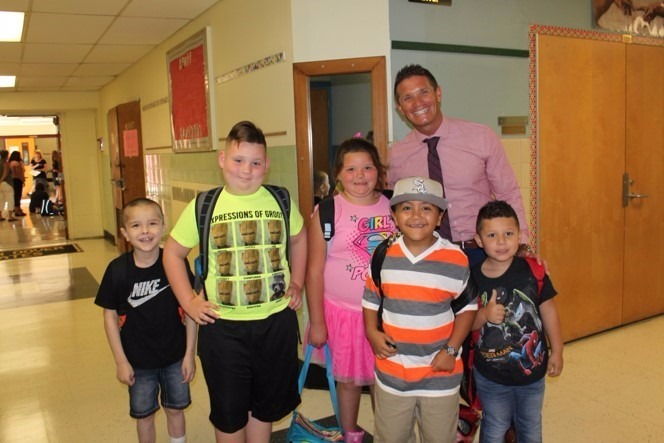 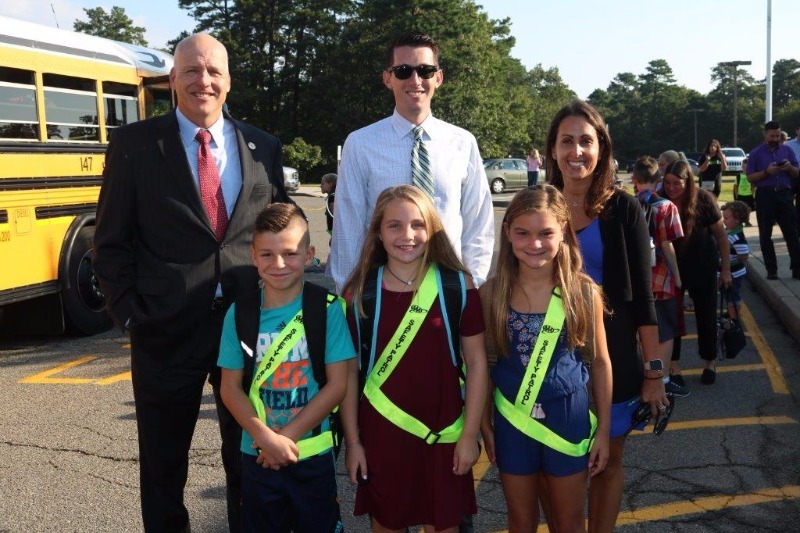 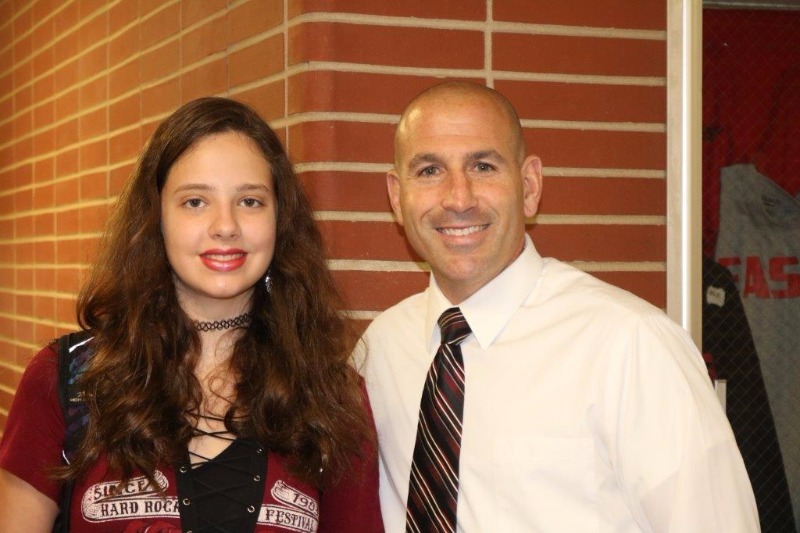 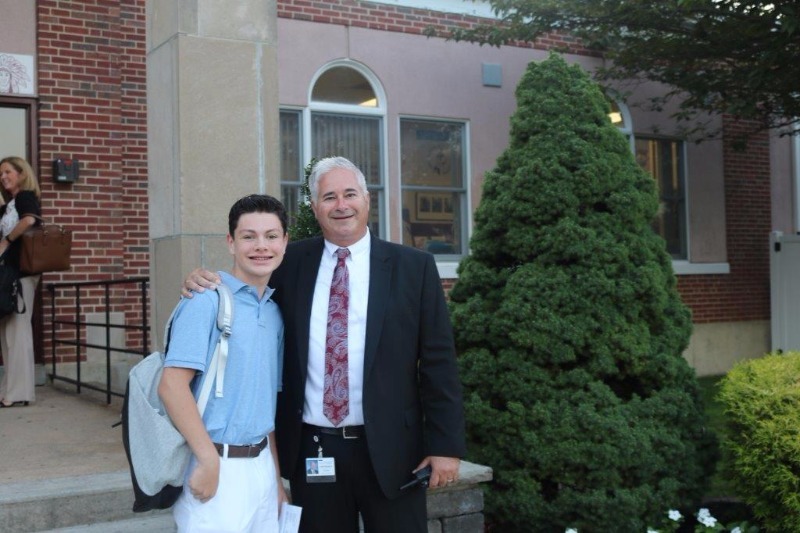 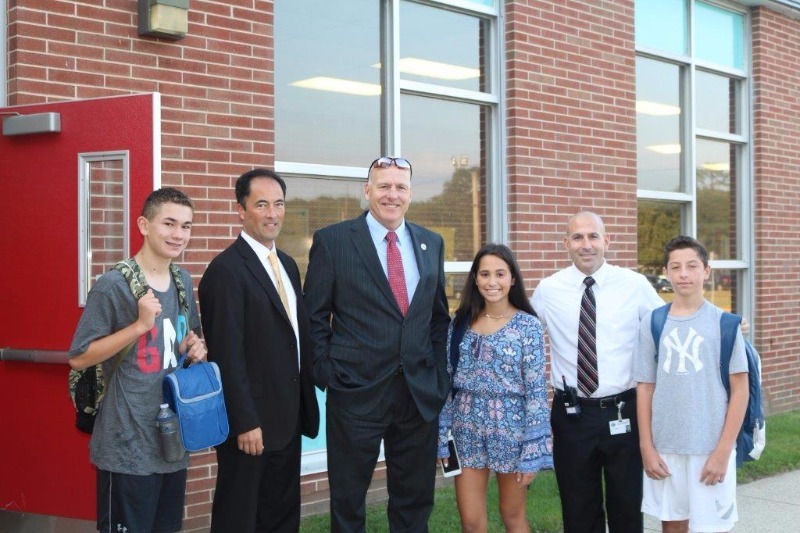 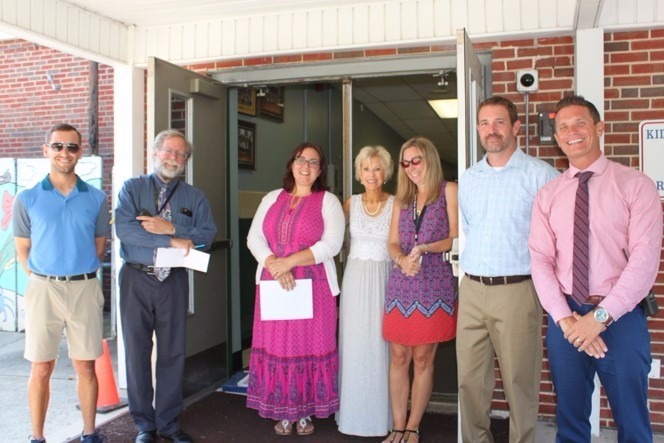 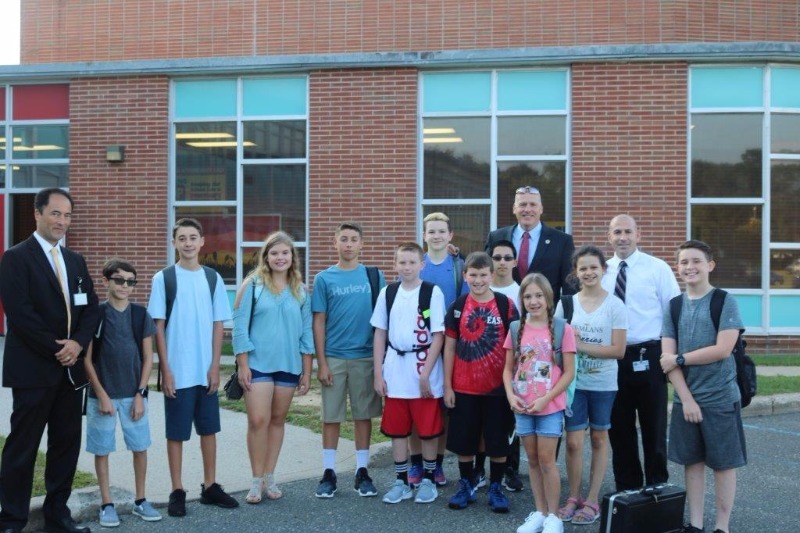 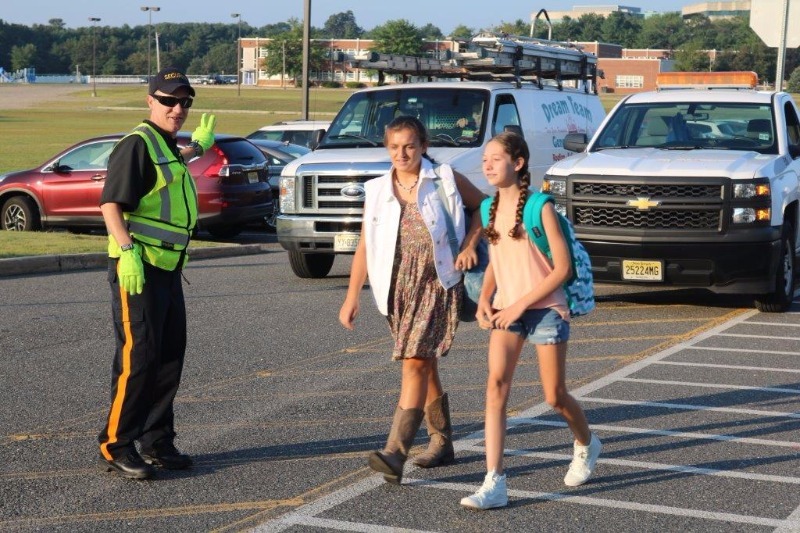 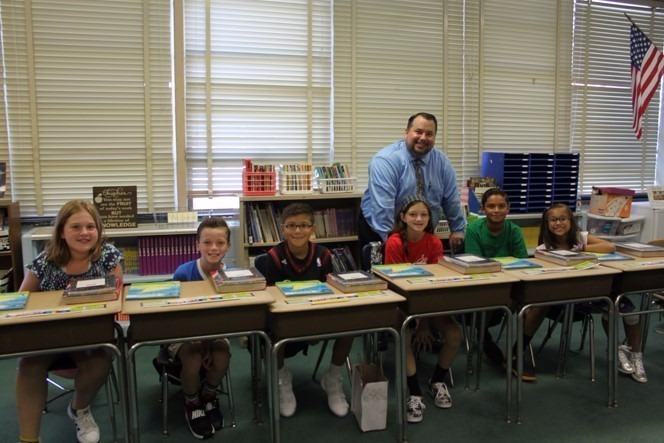 Superintendent David Healy and Board Member Gigi Esparza stopped by South Toms River to welcome students and staff. 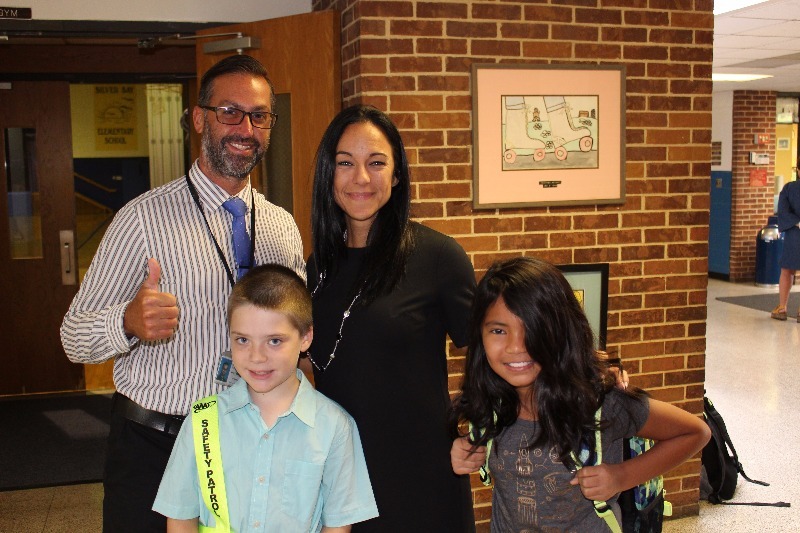 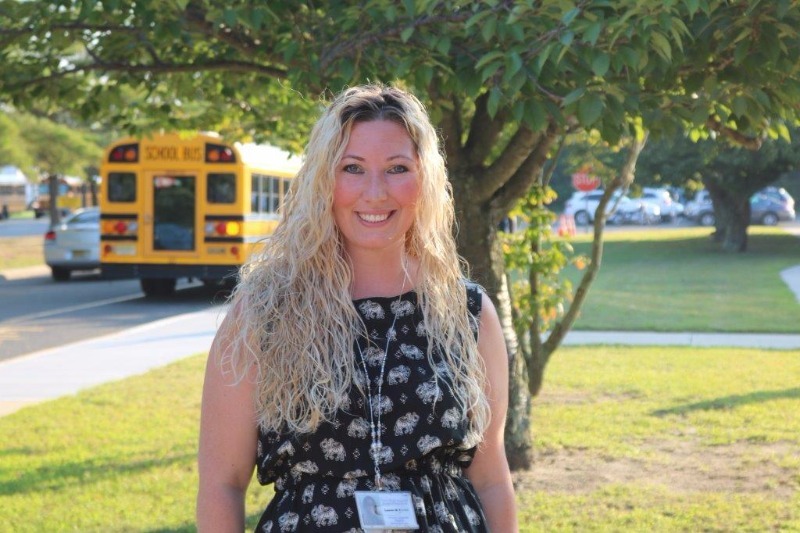 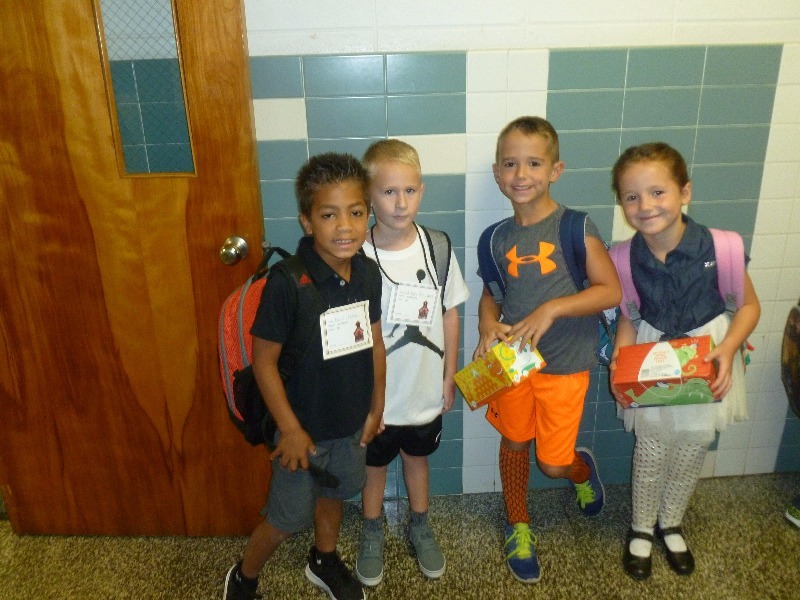 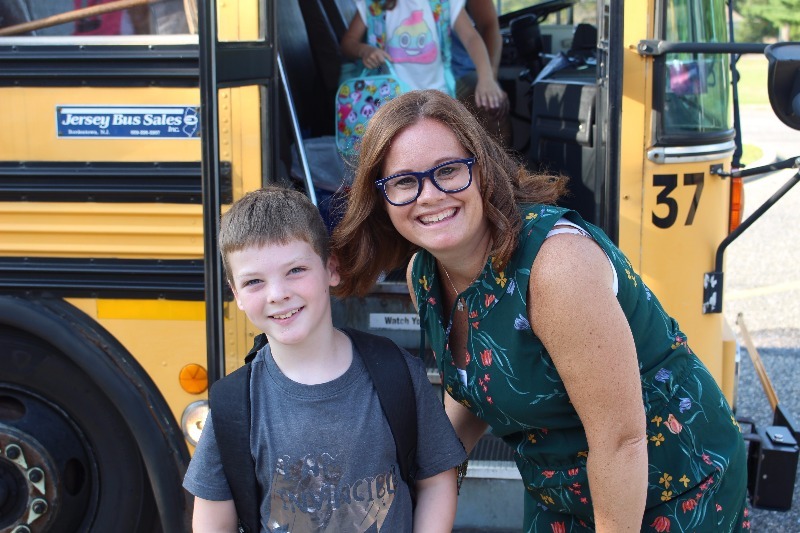 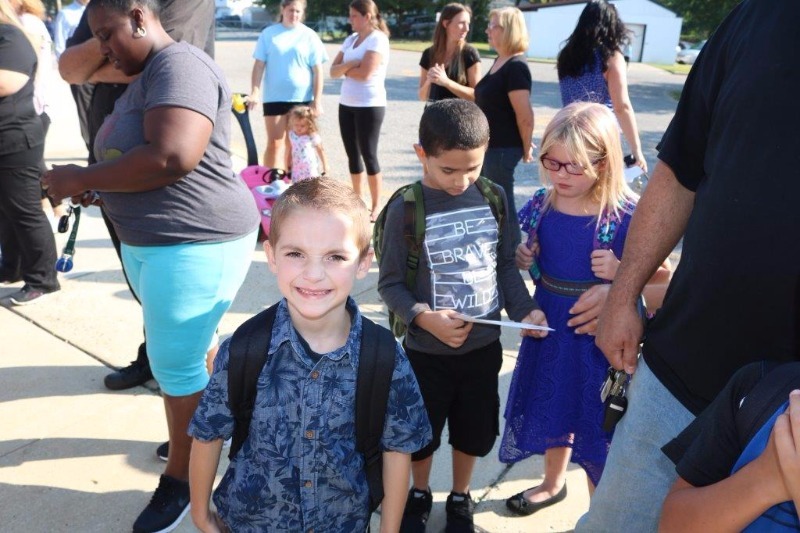 First grade teacher Ms. Riccardelli walks her students to their buses at the end of the day. 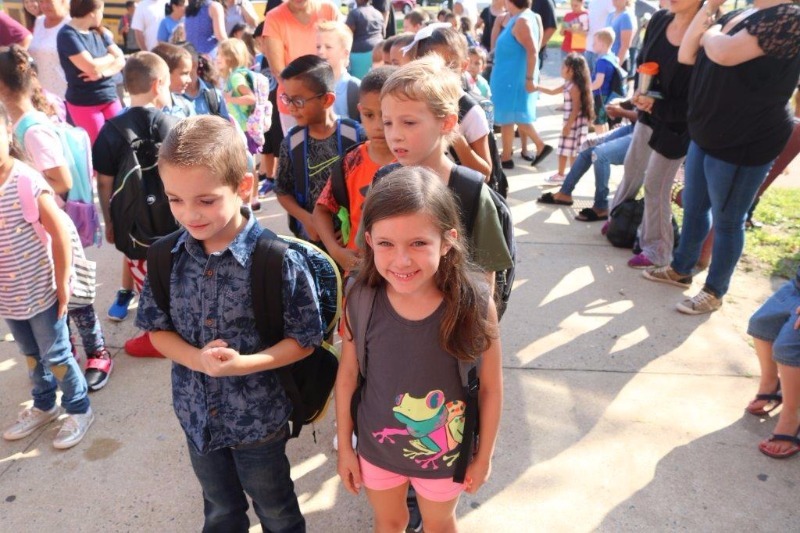 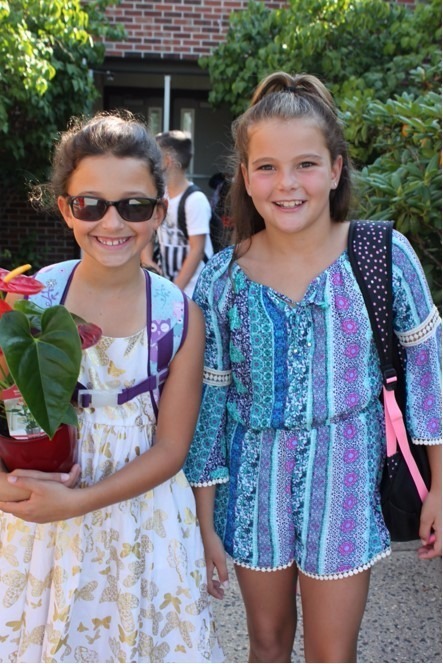 Cedar Grove 4th and 5th graders wait patiently with their friends to be dismissed to class. 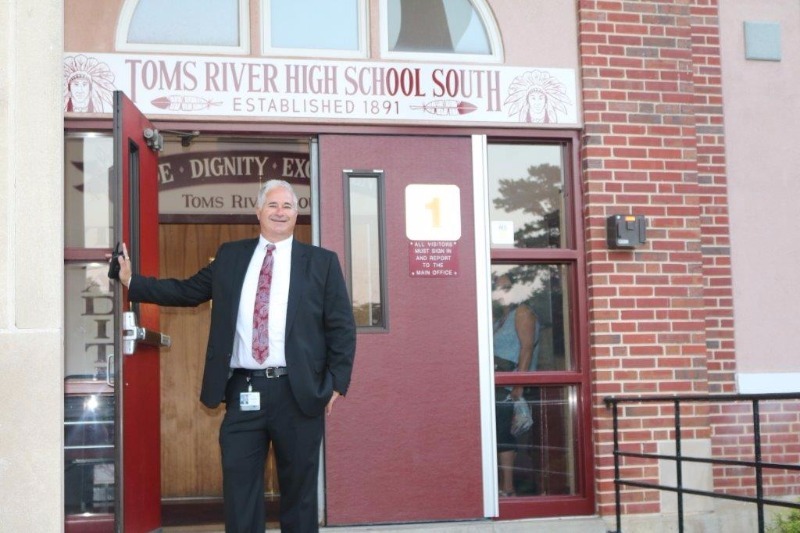 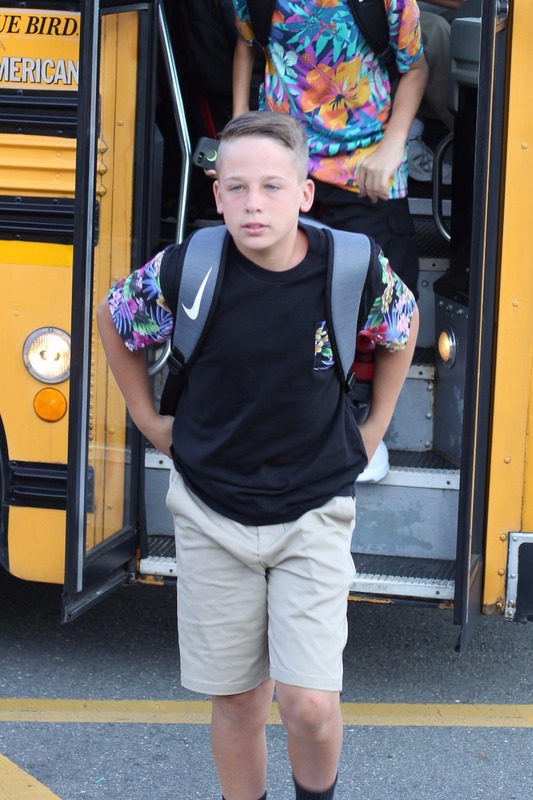 Principal Matthew Gray waits at sunrise for students to arrive at East Dover. 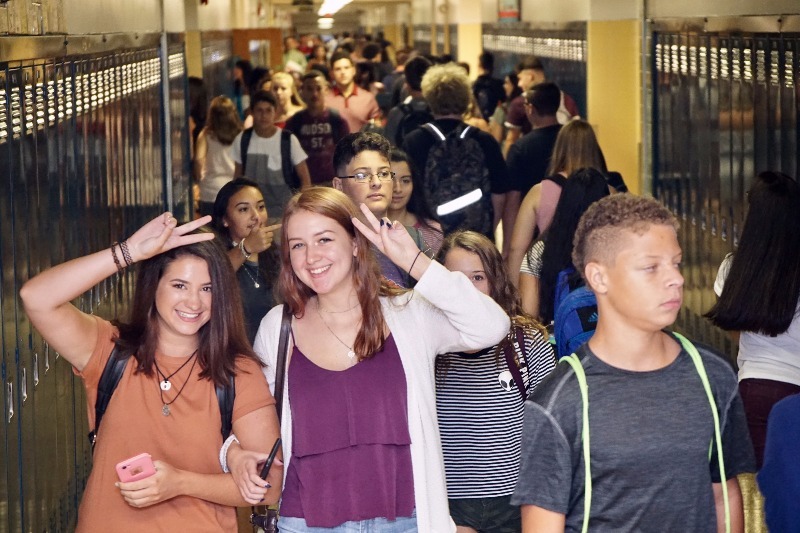 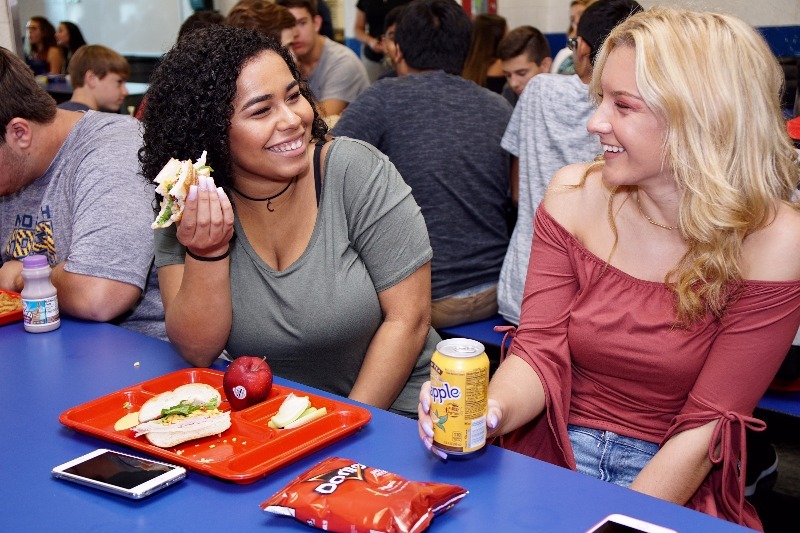 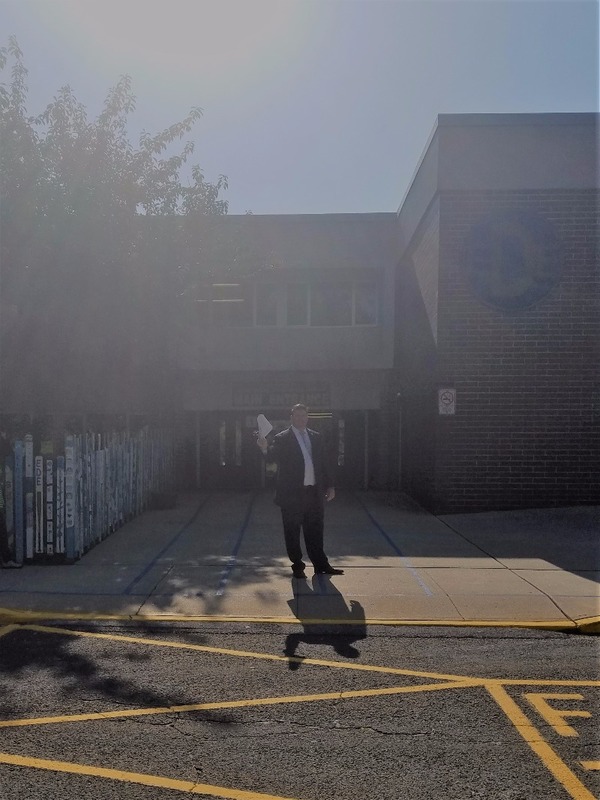 Principal James Ricotta, Jr. opens the doors to High School South for the 2017-2018 school year. 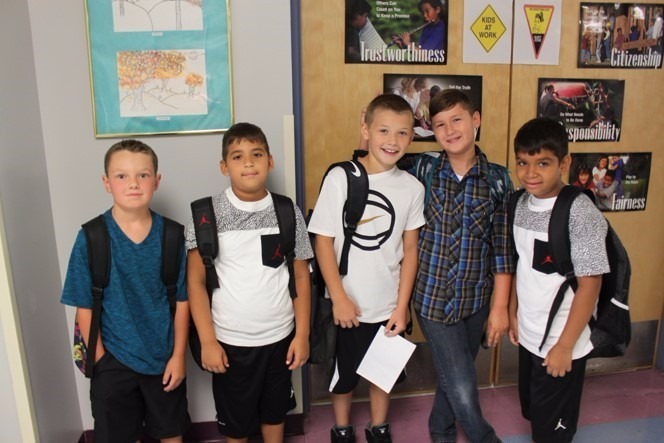 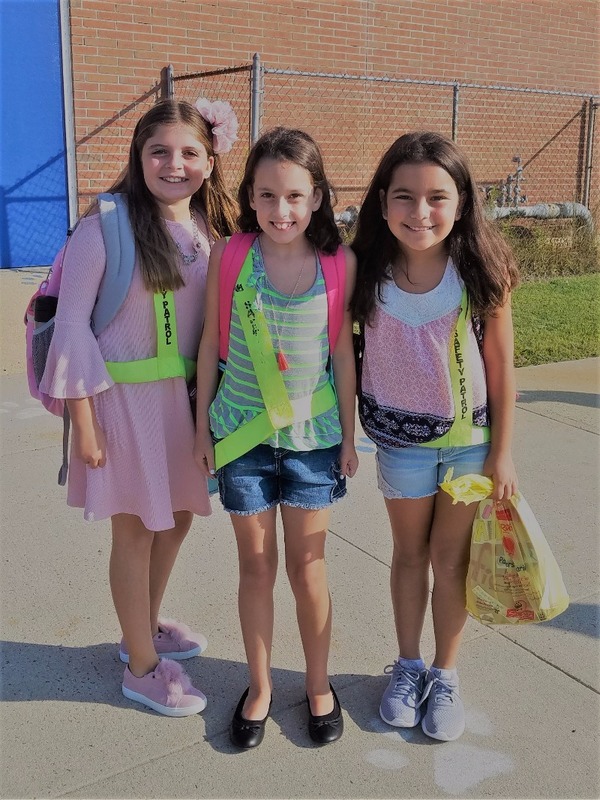 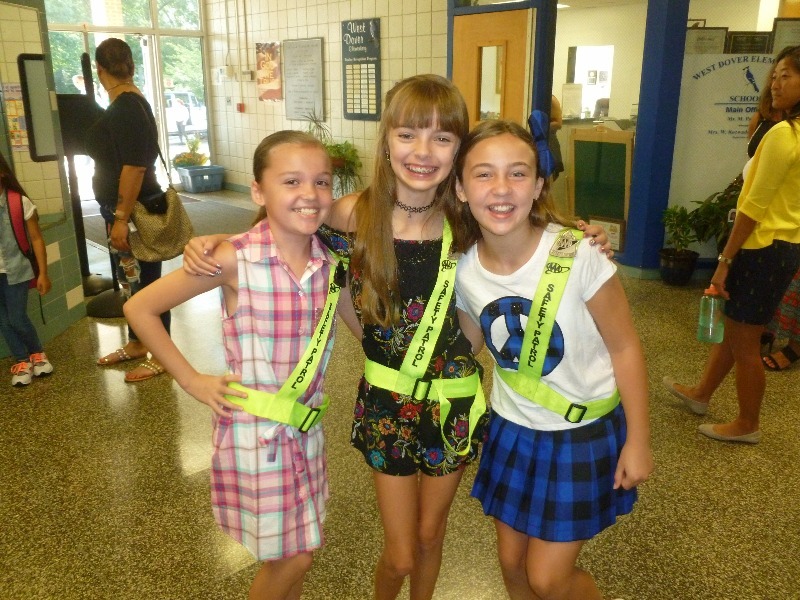 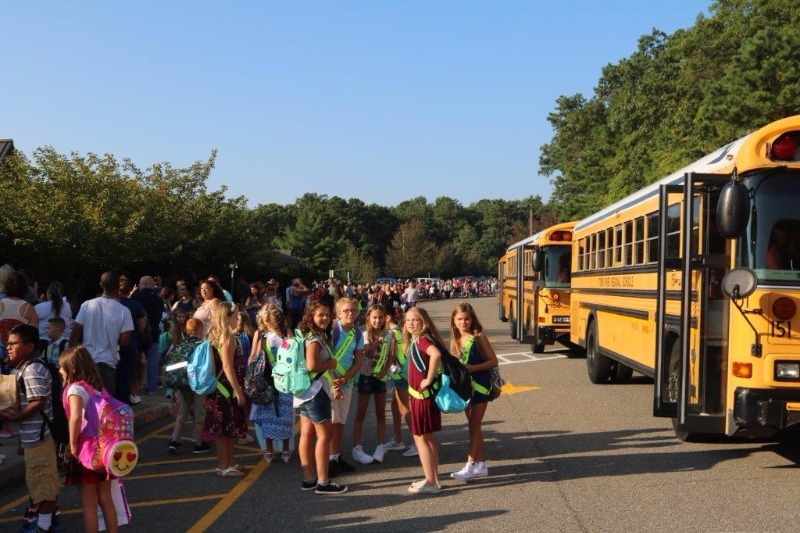 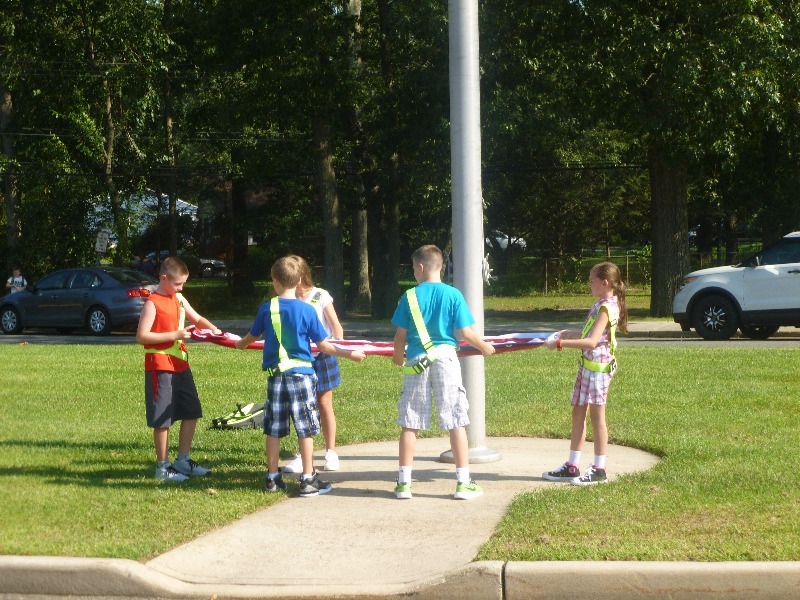 Hooper Avenue School safeties gather for a photo on Day One.